Efficient Energy Choices is a professional consulting service offering accredited energy rating and assessment services for both residential and commercial buildings in Australia. We provide excellent customer service, expert advice to home owners, architects, designers, developers and builders to achieve 5-star and 6-star energy rating compliance. Through intelligent and cost-effective solutions, 5-star or even 6-star compliance can be obtained without outlaying much material costs. As most of you have heard, last month the Clean Energy Bill 2011 which includes the introduction of Carbon Price, was passed in the Senate. The Clean Energy Bill is driving towards reducing Australia’s carbon emissions by 5% by the year 2020. The Clean Energy Bill will put an initial price of $23 per tonne of carbon (or equivalent greenhouse gases) emitted into the atmosphere from July next year. The initial price will increase by CPI to June 2015. From July 2015, the Carbon Price will float and the system will become an Emission Trading Scheme (ETS). The Carbon Price will vary dependent on the market from $15 and greater per tonne. This Clean Energy Bill will affect companies emitting over 125,000 tonnes of emission. ETS has already been introduced in Europe, and it’s on its way to being introduced in the USA, Canada and in Asia. How will this affect householders? Not directly. But indirectly through large carbon emitters who will be passing down their costs to consumers and householders. For example: the large electricity generators (i.e. Hazelwood, Loyang, etc...) will pay for their pollution, they will pass Carbon Price to the utility distributers (i.e. AGL, Red Energy, etc...). Then the utility distributers will pass it onto households. The Carbon Price could also affect large industries, manufacturers, retailers, developers, etc... who will also be passing it onto consumers. The estimated Carbon Price per household could be approximately $500 per year. The basic motto is: “if you pollute, you pay”. 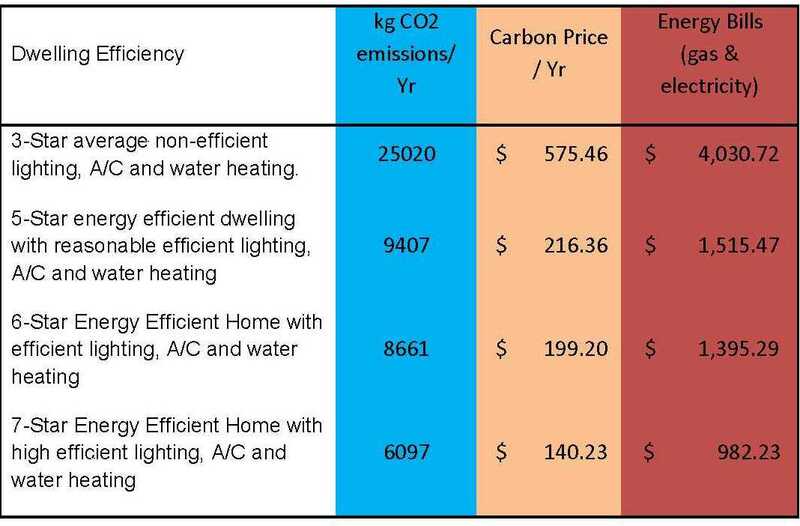 I conducted a study to assess the energy efficiency, the CO2 emissions, the estimated Carbon Price and the estimated energy bills (electricity and gas) of 4 typical Australian dwellings. The size of each typical dwelling is approximately 190m2. Refer to below Table. 1. 3-star efficiency dwelling: typical Australian dwelling with inefficient lighting, airconditioning units, appliances and hot water system. 2. 5-star efficiency dwelling: reasonable efficient lighting, airconditioning units, appliances and hot water system. 3. 6-star efficiency dwelling: efficient lighting the new BCA Section 3.12.5.5. Airconditioning units, appliances and hot water system. 4. 7-star efficiency dwelling: LED lighting, above average efficiency for airconditioning units, appliances and solar gas boosted hot water system. 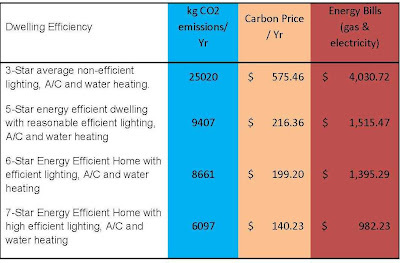 As you can see from the figures, that the more energy efficient the dwelling, the less Carbon Price will be paid and vice versa. These figures may be out by a third, based on government charges, different utility charges and operation by dwelling occupants. These figures are for usage only. They do not include service and maintenance charges. Fossil fuel prices have significantly increased over the last 5 – 10 years and will continue to significantly increase in the future. 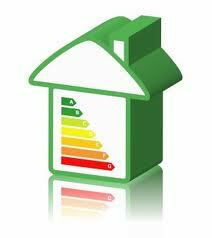 It would most definitely be advisable to increase dwelling’s energy efficiency including appliances and lighting. 2. Install insulation where possible. Roof and floor insulation can make a huge difference. 3. Install energy efficient lighting such as: LEDs and compact fluorescent. 4. Have timers at home to automatically switch off some electrical items when not used. 5. Have an onsite generator such as: solar panels for electricity or solar hot water. Solar hot water can save you up to seven months of gas bills. 6. Install draft stoppers at external doors. 7. Seal gaps and cracks. Residential Building Mandatory Disclosure - A BIG DEAL! It’s important for all of us to get our head around RBMD, as it may very well become a ‘big deal’ from next year! To refresh your memory, RBMD is when a vendor is required to disclose their building’s energy efficiency performance at the time of either selling or leasing. This information may be incorporated in Section 32. 1. Full assessment: full thermal performance simulation and rating of the house to be conducted by a suitably accredited professional. It will assess building performance and potential upgrades and recommendations. 2. Simplified thermal assessment: will have less focus on thermal performance. It will provide potential upgrades and recommendations. 3. Online self-assessment: to use an online tool by making assumptions on a building’s performance based on data entered about the building’s components. This can be either completed by owner or a suitably accredited professional. This is less complex and general. So if you are Designer, a Builder or an Owner, I encourage you to highly consider energy efficiency and sustainability in your designs, because the future buyer of that house may well ask for it. Question: I have a dwelling with two toilets. Does the water tank need to be connected to one toilet or both? What is minimum water tank size? Answer: In accordance with Practice Note 2011-55, the water tank needs to be connected to ALL toilet flushing in the dwelling. The minimum water tank size is 2000 litres for a dwelling. This applies to Class 1 buildings such as detached houses and attached units. However, it does not apply to Class 2 apartment developments. Mandatory Disclosure could be at our doorstep! Residential Building Mandatory Disclosure (RBMD) is when a vendor is required to disclose their building’s energy efficiency performance at the time of either selling or leasing. This will most likely be incorporated into Section 32. At present, RBMD has been in the ACT for at least a decade. The Department of the Environment, Water, Heritage and the Arts (DEWHA) commissioned the Australian Bureau of Statistics (ABS) to produce a statistical report modelling the relationship between “Energy Efficiency Rating and House Prices in the ACT”. The study found that energy efficient houses are likely to achieve a higher selling price than lesser energy efficient houses. Refer to our website www.efficientenergychoices.com.au to download the report. At the moment, the Federal Government is looking to bring RBMD across all states and territories. The government has now commenced public consultation with relevant stakeholders and industry bodies. 3. Online self-assessment: to use an online tool by making assumptions on a building’s performance based on data entered about the building’s components. This can be either completed by the owner or a suitably accredited professional. This is less complex and general. 4. Checklist assessment: the owner to do a checklist on building’s water and energy saving features. This list is to be disclosed at point of advertising. 5. Mandatory rating with an opt-out feature: owner can opt-out not to assess their house and have their house rated at 0. It is a hot topic at the moment, and I will keep you posted on the progress of RBMD. Which option do you think will be introduced? Artificial Lighting is still the hot topic since the recently released Building Commission Practice Note 2011-55 clause 8.1 and BCA 2011 Section 3.12.5.5, with the provision to address artificial lighting. My focus here is on the adjustment of ceiling insulation R values (R4.0, R5.0, etc...), due to loss of ceiling insulation mainly from recessed downlights as the area of ceiling insulation will be reduced. The loss of insulation will be required to be compensated for by increasing the R-Value of insulation in the remainder of the ceiling. This criteria has been added in BCA Section 3.12.1.2(e). Refer to Table 3.12.1.1b taken from BCA. For a dwelling with no downlights, the ceiling insulation adjustment will not be required. Ceiling insulation to remain as is. For a dwelling with 20-off downlights. This adjustment is to apply for single-storey dwellings. For double-storey dwellings, adjustment will apply to ceilings exposed to the elements. FAQ: Does this ceiling insulation adjustment or quantity of downlights affect star rating? Answer: NO. Ceiling adjustment does not affect the star rating energy efficiency. The new ticket item in the recently released Building Commission Practice Note 2011-55 clause 8.1 and BCA 2011 Section 3.12.5.5, is the provision to address artificial lighting. 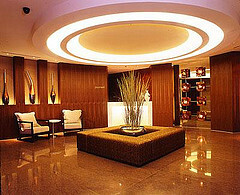 It provides for the maximum power consumption by the lights in a space. · 3W/m2 for a class 10. The above will apply to classes 1, 2 and 4, and will need to be clearly documented by the Energy Consultant or the Designer, and then provided to the relevant Building Surveyor. There are a few items that remain the same after the introduction of 6-stars. Regulations for rainwater tanks and solar hot water systems have not changed. Either a rain water tank of minimum capacity of 2000 litres or a solar water heater system are still required when constructing new homes. In accordance with the current Victorian Building Commission Practice Note 2011 – 55, an alteration or extension to an existing dwelling does NOT require either a rain water tank or solar hot water service. Clause 9.1. 6 Stars is around the corner!! 6-star energy efficiency is just around the corner for Victoria, starting from May 2011. If you are not aware, it already applies to other states such as: ACT, QLD and SA. This is another article to assist you in your design to improve energy efficiency in the most cost-effective way. We will be assessing insulation to garage ceilings. This is not a common practice by builders, but it will be prudent to consider. 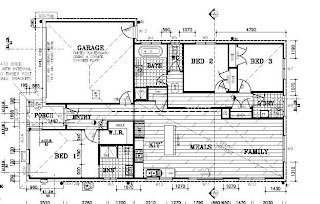 Below is a simple house which has been assessed in different orientations with and without ceiling garage insulation. From the above assessments, having garage ceiling insulation of R3.5, all orientations comply in accordance with 6-star energy efficiency. This is advisable and recommended for design, and can be very beneficial for volume builders’ master designs. In accordance with the current Victorian Building Commission Practice Note 2008 – 55, an alteration or extension to an existing dwelling does NOT require either a rain water tank or solar hot water service. Are you Ready for 6 Stars? The 6-star regulations are almost here! I am aiming to bring you up to speed with the changes in this edition and in those to follow. One of the most frequent questions I get asked is: “When will the 6 star regulations commence?” The simple answer is, for Victoria they will commence from 1 May this year, as per BCA 2010 and the Building Commission. In other states such as: ACT, QLD and SA, they already commenced last year. A point of confusion was whether 6 star energy efficiency is required, even if the design process was carried out prior to May this year. I called the Building Commission to clarify this, and they advised the following: that if there is substantial evidence that the design was carried out prior to May 2011, then a 5 star energy report carried out later on, will still be applicable and comply. However if there is no evidence, then a 6 star energy report will be required. My focus from here on, will be about your designs complying with the new regulations. When you’re designing new projects, consider the inherent thermal efficiencies of these wall types, ranked most efficient to least efficient. Where possible, try to minimise either FC cladding and metal cladding. If possible, it is recommended to install them on either North and/or East facade, as they are the least thermal energy efficient. Also where possible, it is recommended to install Hebel panels and EPS on the thermal weak points on either south and/or west facade, as they are the most thermal energy efficient. Another question I often get asked is about window frames. Which is more energy efficient, timber frame type or aluminium?Timber frame type are generally about 10% more energy efficient than aluminium window frames. For further information, feel free to contact our office on 03 9390 2934 or by email info@efficientenergychoices.com.au. Talk again in the next edition, stay tuned! Happy New Year to you and I hope you‘ve had a restful and safe Christmas break. Following my previous newsletter (in Nov 2010), I thought to write more on the same topic because of the increasing demand on multi-level apartment projects, and Victorian government is encouraging higher density living. To re-cap what I discussed last November, the below matrix summarises current and upcoming regulations from May 2011. 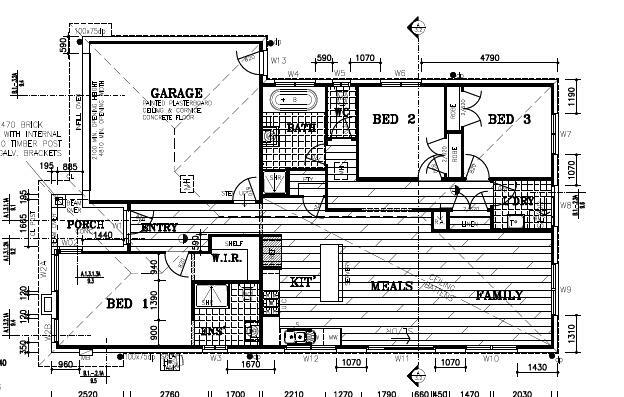 Is Section J required for multi-level apartments? Short answer is Yes. Multi-level apartment buildings are considered as class 2 type. A brief Section J energy assessment will be required for the common areas and basement carparks (Class 7a). If the proposed building has either retail (Class 6) or commercial offices (Class 5), then these areas will require a full Section J energy assessment to include: fabric, glazing and services such as airconditioning and artificial lighting. To satisfy ESD requirements, energy efficient electrical appliances and efficient water fixtures to be within one point of the highest efficiency available on the market. This is to apply for items which are part of the base building works.